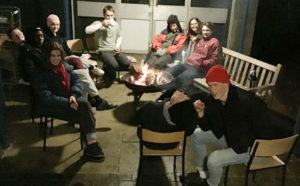 Nine pupils and two staff from Downside School recently braved the winter wind, rain and cold to sleep outside (in the theatre quad) for Emmaus House Bristol. 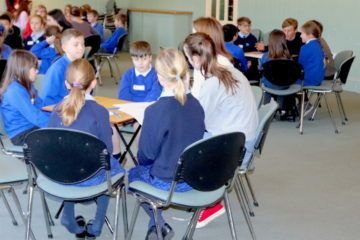 The sleep out was organised by the school’s St Teresa Service Community to raise awareness of the issue of homelessness. One in 200 people are homeless in Britain, and Emmaus House supports people to work their way out of homelessness, provide meaningful work and a stable home environment for as long as they need it. The sleep out started at 9pm with a warm fire pit, kindly provided by Mr Hobbs. 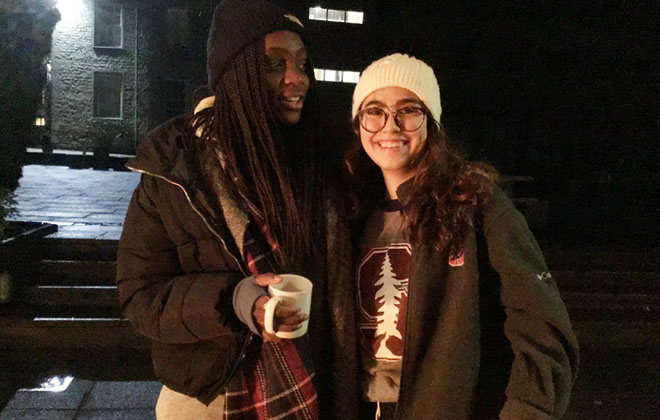 Later in the evening, marshmallows were toasted, hot chocolate was drunk and the pupils and staff finished the night with evening prayer themed on homelessness. All went back to their Houses around 6am for some extra sleep! Currently, the Community at Downside School has raised over £1500 through its GoFundMe page and a further £600 on top of that. Please click here if you would like to donate in support of this worthwhile cause.